World President Assen Makedonov travelled to Paris on 10 September to take part in a Business Networking event, preceded by a meeting of the General Assembly of FIABCI-France, under the leadership of President Léo Attias. The World President addressed the Assembly, noting France’s role in the founding of FIABCI nearly 70 years ago, the continued strength of the French Chapter and its commitment to the industry, especially related to transparency and social housing. 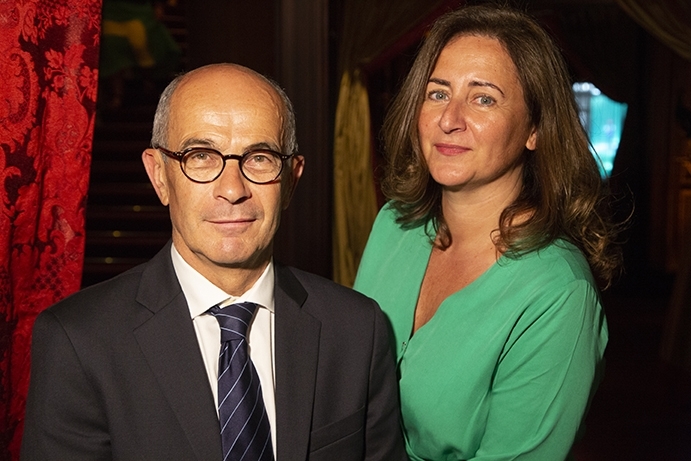 More than 50 real estate professionals were present at the famous Fouquet’s on the Avenue des Champs-Élysées for the FIABCI-France September networking event, which featured Hervé Parent, the organizer of the RENT show. RENT is a B2B real estate technology conference and exposition. The 2018 edition of RENT is set for 3 - 4 October in Paris, where more than 5,000 attendees are expected. Parent unveiled for the FIABCI attendees the main topics of the conference. These included big data, artificial intelligence, robots and blockchain. Also speaking was Ariane Artinian, independent journalist and editor-in-chef for MySweet’Immo, a French property news site. During the meeting of the FIABCI-France General Assembly, three new members were elected to the Board: Marie Brouder, president of the consulting and real estate consulting firm Caryatid Advisory; Henry Buzy Cazaux, president of IMSI and Sylvain de Munter, executive director, Keller Williams France. FIABCI-France will be the host Chapter for the 70th anniversary founding of FIABCI celebration and 2021 World Congress in Paris.